Thermalinc: Powerblanket™ High Temperature Drum Heaters! PDH55 Full Coverage Drum Heaters! Rapid Ramp and NOW the Pro Series with Adjustable Thermostat! Even Heat Distribution with Patented Technology! Click For Pro Series Image! 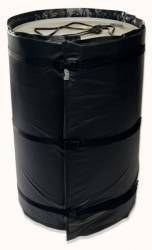 Wrap it in a powerblanket® & take hassle out of heating and warming your drums and barrels. With a built in thermostat or optional thermostatic controller, you can ensure you never over or under heat your materials again. Each barrel-blanket heater has a 6 foot male & female cord allowing up to 4 blankets to be plugged together on a single 120V, 20 amp outlet. 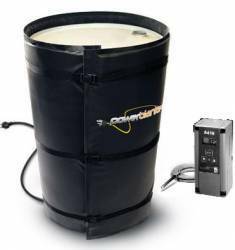 PowerBlanket Full Coverage Drum Heater! Powerblanket PRO Full Coverage Drum Heater!